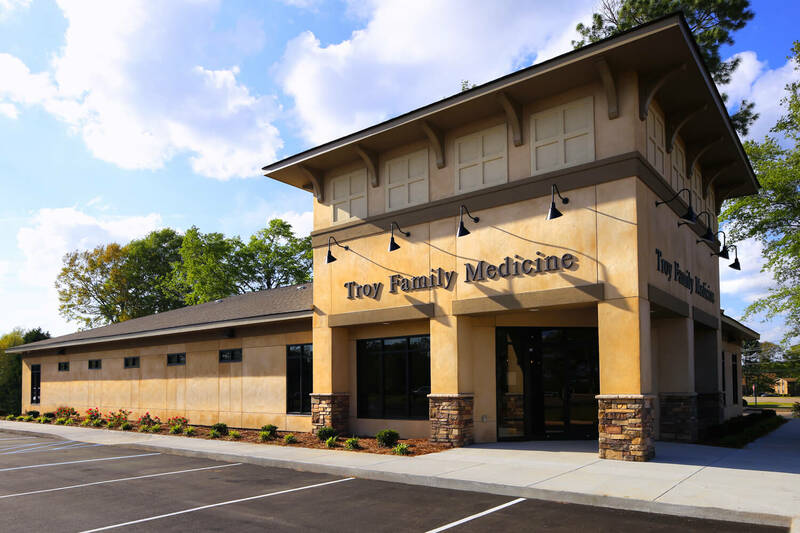 Troy Family Medicine is a new construction doctor’s office in Troy, AL. 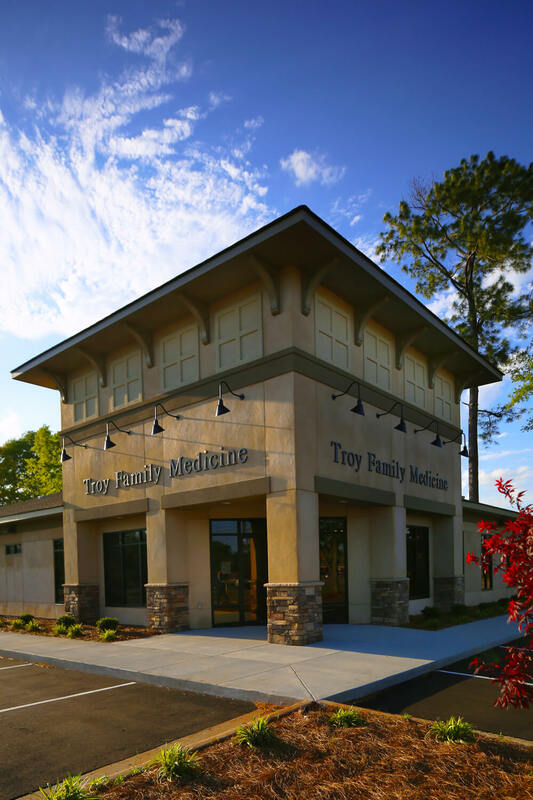 In the beginning, the client was able to provide Foshee Architecture a preferred floor plan. As a result, we used this plan as a basis for the overall design. First, we designed the structure as wood framed on a traditional concrete slab-on-grade. Next, the exterior design features a prominent, corner entry tower with a mix of stucco and stone veneer. Above, arm lights illuminate the practice’s signage on two faces. 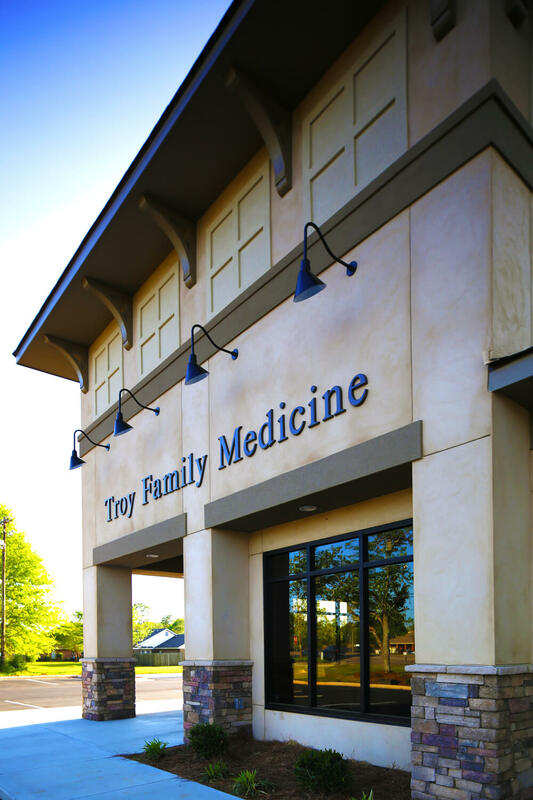 In addition, storefront windows allow abundant light into the waiting area. 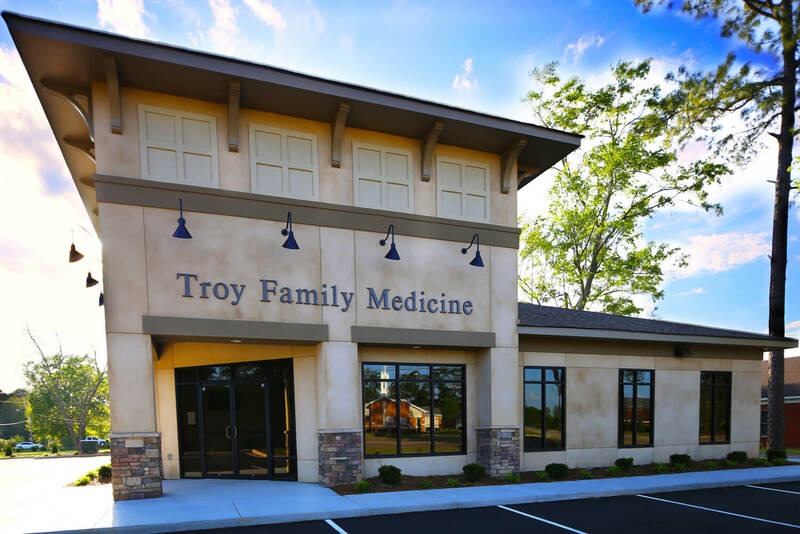 Finally, higher windows provide privacy in exam rooms while still providing natural light. Inside, we used polished concrete floors to provide a durable, easily cleaned surface. 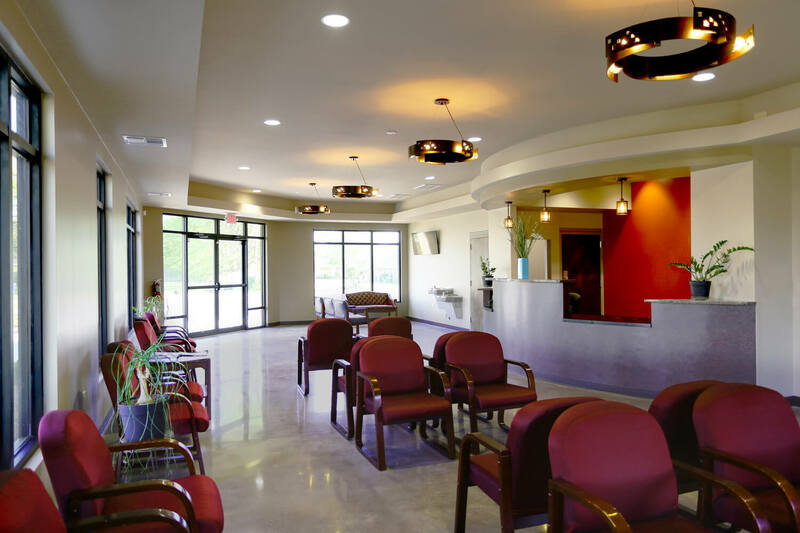 The ceiling of the waiting area is designed to create a tray effect while also concealing ductwork. Also, pendant lights line the center of the tray ceiling. 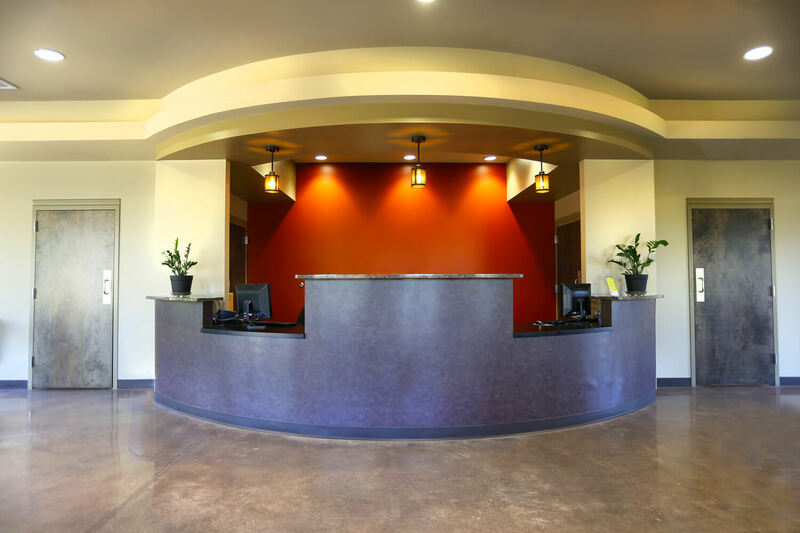 Soffits and pendant lights create a more private area at the receptionist desk. Finally, a mix of wall colors creates architectural interest, all while be cost conscious.